When attentions turned to the fact that Formula 1 was fast approaching its 1000th World Championship grand prix, fans tingled with excitement and drew up their wish lists for the entertainment on show and the venue that would hold the honour of hosting this landmark event. The usual suspects were on offer: Silverstone International Circuit, the Circuit de Spa-Francorchamps, the Circuit de Monaco and the Autodromo Nazionale di Monza. Could F1 even visit Suzuka Circuit six months earlier than is customary? On 31 August 2018, many hopes and dreams were crushed. As the draft calendar for the 2019 season was made public knowledge, it became apparent that the sixteenth Chinese Grand Prix and the Shanghai International Circuit would host race number 1000. It wasn’t for the want of trying though. Several F1 bosses, including commercial chief Sean Bratches, would have preferred the milestone to take place at Silverstone, the site of the first race of the inaugural World Championship 69 years ago. Speaking to Sky F1 in late-2018, Bratches waxed lyrical about Silverstone – believing it to be at the “nucleus” of what the sport is about. “We have the 1000th grand prix next year and we wanted to do it at Silverstone,” Bratches said. And it’s a fair point well made. The last time F1 visited Silverstone in April was at the turn of the millennium, due to the French Grand Prix organisers refusing to accept the FIA‘s decision to move its race forward from July to the Easter weekend. “Internal politics, and the French won, so [Great Britain is] suffering,” said a bemused Bernie Ecclestone to ITV. Logistically, it was a resounding nightmare. Foul British springtime weather forced car parks to be closed, shutting out up to 50,000 race-going fans. With spectators littering their cars around Oxford and Northampton, local taxi companies were the real winners of the weekend – perhaps more so than race victor David Coulthard. The early on-track action was hardly spectacular too. The highlights of Friday Free Practice foreshadowed the synchronised swimming events at the upcoming Sydney Olympic Games, with Gastón Mazzacane, Nick Heidfeld, Giancarlo Fisichella and Ricardo Zonta some of the names pirouetting through the Northamptonshire/Buckinghamshire divide when searching for grip. Two days later, the Sunday morning warm-up was delayed by nearly two hours courtesy of heavy morning fog. Just the very thought of F1’s 1000th race being spoilt by torrential rain and heavy mud does not, and should not, sit easily. And while China has had its fair share of rain-affected grands prix, adverse conditions have only added to the drama, instead of detracting from it. Think of 2007, the penultimate race of one of F1’s most pulsating and unpredictable modern seasons. 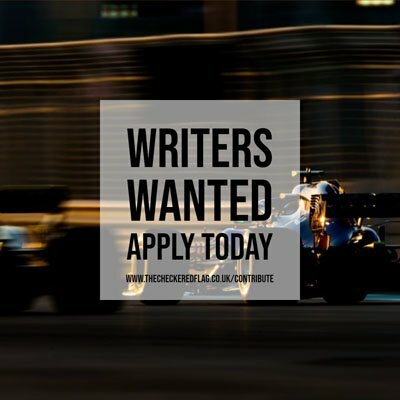 The image of Lewis Hamilton‘s McLaren F1 Team car slithering into the gravel trap at pit entry, denying the Briton an extraordinary rookie world championship title, is still ensconced in the minds of fans. It’s up to you to decide if it’s a happy or painful memory. One year prior to Hamilton’s misfortune, Michael Schumacher turned the 2006 championship run-in on its head in equally tricky conditions by dragging his Scuderia Ferrari car to a masterful victory from a distant sixth on the grid, drawing level on points with eventual champion Fernando Alonso in the process and earning his 91st and last race win. Another wet race in 2009 allowed Red Bull Racing to take its first of 59 (and counting) wins in F1, capping it off with a maiden 1-2 finish through Sebastian Vettel and Mark Webber. But, that’s in the case of wet weather. Unlike England in April – it doesn’t always rain. Yet still, the Hermann Tilke-designed track continues to throw up excitement wherever you set your eyes. 2018’s edition only fuelled that fire. Another unlikely winner, this time ex-Red Bull man Daniel Ricciardo, avoided the chaos that reigned supreme among his rivals to produce a stunning comeback in the last 20 laps of the race – sealing the victory with a trademark, ballsy manoeuvre on Valtteri Bottas at Turn 6. The track layout has a wonderful combination of long straights, big braking zones and hairpins – as well as a smattering of technical long corners, slow and fast – that invites a multitude of wheel-to-wheel racing. It’s a track that would keep its magic without the still-divisive aid of DRS. “China is a great place to race,” Bratches told Reuters last May. “It’s part of our future and we’re excited about going there for that particular race. Next year we’re going to celebrate it as the year of the 1000th grand prix so you’re going to see integrations across the year celebrating this incredible milestone. There is, understandably, the issue of China not being cemented in F1 as a historic venue. Only introduced in 2004, for all its excitement, it lacks the feel and heritage of Belgium, Monaco, Italy, France, Great Britain or even fellow Asian country Japan. But ultimately, the 1000th grand prix needs to be remembered. And not for its location. The football World Cup in 1990 had one of the most romantic backdrops possible in Italy, but that didn’t make the football palatable – bar the inimitable brilliance of Roberto Baggio. So the focus must be on the racing, as that’s what makes a grand prix memorable. Bahrain, the 999th race host, is of equal age, but has still provided some incredible and unforgettable races. China also holds an important meaning to one of F1’s missions. It was introduced to boost Asia’s presence and interest in the sport, and can be seen as a key point in F1’s increasing worldwide reach. Since then, Singapore, Abu Dhabi, Korea Republic and India have all been added to the calendar with varying longevity and success. Turkey and Azerbaijan can also be included on the list, depending on geographical viewpoints. With Vietnam set to host its first race in 2020, the Asian contingent of races is only set to increase. Shanghai’s first race also concluded over a decade of negotiations between the FIA and the Chinese government. The Zhuhai International Circuit was identified and built to become China’s motorsport home, until it was deemed unfit to host a race for the 1999 season despite holding a place on the provisional calendar. Shanghai followed soon after, and met the requisite standards. It has (just about) stood the test of time, with multiple threats of cancellation over the past five years due to poor attendance figures, but its immediate future looks to be secure after the latest contract resolution. And, as Bratches said, F1 will continue to celebrate the 1000th grand prix throughout the 2019 season. So, there is little need to be overly disheartened by any location worries. 999 races, 71 circuits, 99 polesitters, 107 race winners and 33 world champions down, here’s hoping that race number 1000 will be an occasion to remember… whatever the weather.